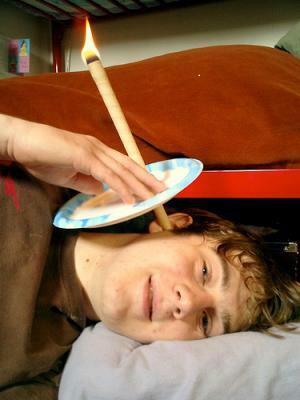 Ear candling is a unique and specific process, designed to help people who suffer from excessive earwax accumulation, possibly interfering with their hearing, leading to tinnitus and other problems of this type. However, the candles used here are not the same as regular candles. On the contrary, they are hollow and made of cotton or linen soaked in bee, soy or paraffin wax. Being hollow as it is, this type of candle can be inserted into one's ear canal, lit on the other side and used adequately. Namely, ear candles heat up the inside of the ear, melting the excessive wax, making it easier for it to be transferred to the inside of the candle itself. Also, the fire on the other end pulls out the air from the ear, creating a vacuum which further pushes the wax out. Throughout the process, due to additions being parts of these candles, one is safe from the candle wax since it falls into a special container. There are more benefits related to ear candling. Read on to learn which these are. First of all, besides all the positive effects mentioned above, ear candling makes one's brain more active by relieving it from pressure. Additionally, this process keeps your ears safe from infections since it keeps your ear canals clean and free from harmful microorganisms. Besides that, the whole process of not having clogged ears any further is quite relieving. After all if people haven's stopped practicing ear candling after 500 years, that has to mean that this procedure is beneficial for us. However, one should be careful while practicing this method, in order to avoid any injuries or place the candle too deep into the ear canal. Also, just to make sure, consult with your doctor before ear candling, acquiring more knowledge on the subject, knowing exactly what to do and how. Of course, you are advised to follow the instructions which come with the product religiously. Ear candling is an excellent method for keeping your ears clean and safe from many problems that can affect them. Clogged ears are prone to infections. Moreover, excessive earwax may place a pressure on your eardrum, perforating it, possibly resulting in hearing loss. There are many other dangers of poor ear hygiene. Thus, for all these reasons, and plenty more, choose ear candling and rest assured that your ear problems are solved. Are aromatherapy candles any good? Your other interests besides swimming?